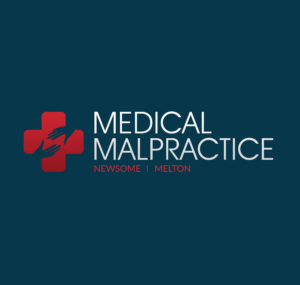 Medical Malpractice Help » Medical Malpractice » Why Do Some Medical Malpractice Cases Go Unaddressed? While a number of cases of medical negligence are filed every year in the United States, many more injured patients may forgo such claims. For a variety of reasons, patients may not realize they were the victims of medical malpractice, leaving them to bear the brunt of the physical, emotional, and economic harm they may be suffering. Sometimes medical errors may not become apparent until days or even weeks after a procedure, while other patients may simply not connect a health problem to recent care they received. Every single year, the number of medical negligence cases that are reported totals in the thousands. In every state in the country, individuals and attorneys file cases of medical negligence. However, experts in the field suggest that the number of potential cases that could be filed but are not far exceed the number of cases that are filed. There are a number of explanations for this trend, which doctors and insurance companies attempt to conceal. The first potential reason why patients may not realize they were the victims of medical negligence is because they might not even realize their pain and suffering is the result of healthcare provider error. These patients may simply have no idea that the reason why the procedure or treatment they underwent did not turn out as planned was due to an error in the hospital. Furthermore, these individuals may not have been fully informed as to what their procedure would entail. The second potential reason is that individuals who are aware of a mistake in their procedure or treatment by a hospital, nurse, or physician are not aware that it is possible to hold these medical professionals liable for what they did or did not do. This includes surgical mistakes, communication lapses, patient monitoring errors, and a number of other serious issues. The third potential reason medical negligence goes unaddressed is that many individuals unquestioningly trust their doctors to treat them with the utmost care and honesty. There is a great deal of faith in physicians, which is largely justified, and the majority of people who receive treatment from physicians believe that they are going to perform their jobs without making mistakes. However, this also means that many individuals fail to realize medical professionals are human and make mistakes. Unfortunately, this inherent trust means patients may be reluctant to believe that their physicians did make mistakes, let alone that they should be held accountable. A fourth potential reason medical malpractice and negligence goes unaddressed is because some patients do not know that bad decisions made by physicians often go against established medical protocols. In fact, the majority of people who receive treatment have no idea what constitutes established this protocol. They are also unlikely to understand how to hold hospital staff, such as physicians and nurses, accountable for deviations from these established standards. This is especially true of anesthesia errors. Because the patient is subdued, they are not aware of any complications or procedural lapses that may arise. Only in the event of serious disability or death during anesthesia are medical professionals obligated to report these medical errors. In most cases, people simply trust that the medical care they receive will be to the standard that they could expect from any facility in the United States. Because most individuals have limited knowledge of medical procedures, they simply don’t know when they have viable cases they can pursue through litigation. This makes patients highly vulnerable to this medical error and more likely to let it go unaddressed. At least 98,000 individuals die each year in hospitals due to preventable errors, while many more are injured. Despite the disturbing number of patients hurt by medical negligence, a surprisingly low number of patients and their families file medical malpractice lawsuits. In fact, just one out of eight individuals injured due to medical negligence files a malpractice claim, meaning many possible claims go unaddressed. This allows unskilled doctors to continue to practice and potentially inflict harm on others who may not be aware that they have a right to compensation for their injuries. “Five Myths About Medical Negligence.” American Association for Justice, n.d. Web. 1 June 2012. “New AHRQ Study Finds Surgical Errors Cost Nearly $1.5 Billion Annually.” Agency for Healthcare Research and Quality, 28 July 2008. Web. 25 May 2012.